Healthy Chilli Con Carne Recipe | Only 300 Calories Per Serving, Winning!! Chili con carne is Tex-Mex dish that is loved by families all over the world. 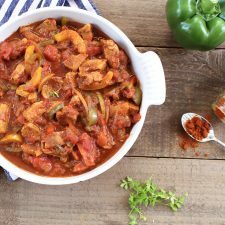 Our chili con carne recipe is loaded with protein and delicious flavours with only 300 calories per serving which makes it really easy to include as part of a healthy eating plan. 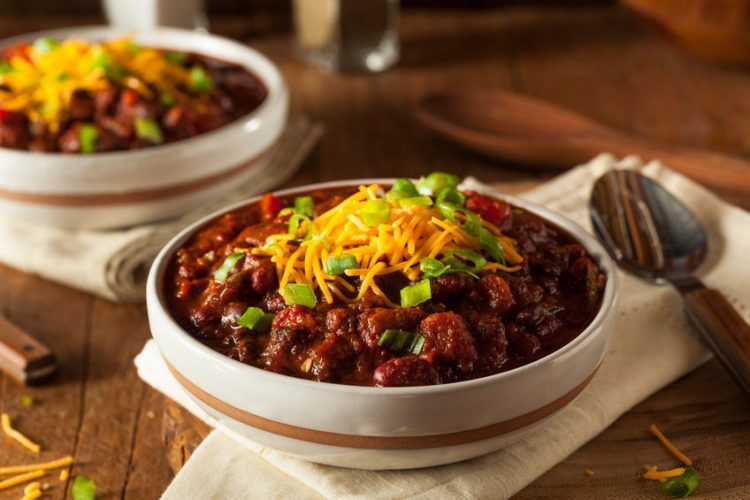 We've also added a couple of different ingredients into this easy chili recipe that give it a delicious rich, spicy taste. 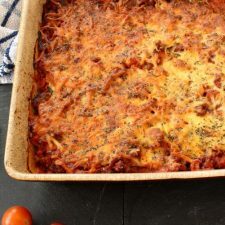 This high protein, one-pot meal is easy to cook, it's freezable and it makes healthy cooking for the week a doddle. 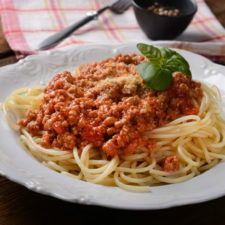 Like many chillies and stews, this dish actually tastes better the day after you've made it as this allows more of the flavour to develop and be absorbed by the mince. If you really want a delicious chilli, cook it the day before, let it cool and keep it in the fridge before heating it up the following day. If you like this recipe, be sure to try our Brazilian Picadillo Recipe, it's a Brazilian chilli with olives and raisins and it tastes delicious. BONUS: Download a free chilli recipe book with 5 of our most popular chilli recipes. To make your Chilli, heat a large pan over a medium heat and add the olive oil, onion, garlic and pepper and cook until the onion starts to become translucent. Add all of the remaining ingredients, reduce the heat and simmer for 30 - 40 minutes until the sauce has thickened. Serve with rice and a little sour cream if you find it’s a tad too spicy for you.